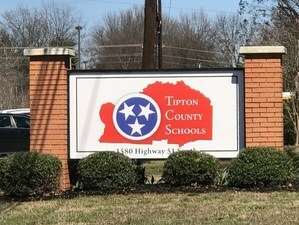 The Tipton County School Board meets the 2nd Thursday of each month at 7:00 p.m. The meetings are held in the board room at the Tipton County Department of Public Instruction, 1580 Highway 51 South, Covington TN. The meeting dates for the school year are listed left. All meetings are open to the public and you may request to be recognized by the Chairman at any meeting. If you wish to be placed on the agenda in advance, please feel free to contact Melinda Pinner by phone (901-475-5972) or in writing one week prior to the scheduled meeting. Click here for a larger view of the districts in Tipton County. Click the magnifying glass to zoom in.